I managed to grab a few minutes with the inspiring Ofome, founder of skincare brand, THE GLOW POT and I can honestly say I left the chat feeling super inspired and at peace with my current journey. I hope you enjoy this post as much as I did! JF: Tell us a little bit about yourself. O: My name is Ofome and I have started a skin care brand called The Glow Pot. Aside from that, I work full-time, but The Glow Pot is my passion. I live in South East London and I have 8 siblings. I am extremely family-oriented and have a very close relationship with all my siblings. JF: Lovely! 8? wow, I thought that I had a big family! So, is there a quote or mantra that you believe you live by? O: I believe that everything happens for a reason and this is what I live by. It keeps me going simply because it allows me to see that everything in life has a purpose. This belief allows me to remain positive and see things with a positive spin on it. Something bigger and better will come out of whatever it is that you are currently going through. J: I definitely agree and actually try and see things through a similar positive lens, it is essential. Now, tell me more about THE GLOW POT. How did you come up with the concept and the name? O: Up until I was around 20 years old, I had eczema and used to get bullied in school. I became very conscious of my skin and actually began to experiment with natural remedies to clear up my skin. In that time, I developed quite a bit of discolouration and undertook a lot of research to find products to combat this. I soon realised that there was no central place that I could go to get these products. Your skin is everything about you and is the first thing that people see. Being comfortable in your own skin is what I want people to truly feel. I am very passionate about skincare so it really just made sense to bring my passion into real fruition. With regards to the name of my brand, it's quite funny because I was literally sitting around with my friends at home one night and realised that I didn't have a name for it. Bouncing ideas off each other and one of my friends said, 'What about The Glow Pot?' Initially, I didn't like the sound of it but I called my best friend and she absolutely loved it - so The Glow Pot it is! JF: How did you identify your marketing strategy and ensure it was effectively utilised? O: Initially, I literally had no idea about marketing. Social media was what I was seeing people do so I thought that was what I was going to do too. I went on a business course with The Prince's Trust a year or so ago and picked up a little bit about marketing and identified my target audience. I began to look at brands like Nivea, Garnier, Clinque and Simple and looked at their marketing products and branding. In doing this, I wanted to adopt similar strategies but ensure that my brand personally identifies with my potential customers. I also met with one of my friends, Glide who offered me some amazing advice. Glide is a marketing consultant and has been in the game for a pretty long time. He gave me several things to consider and taught me how to see the bigger picture when it comes to marketing and encouraged me to focus on what would work for my brand, rather than what others may be doing. This has helped me a lot. JF: I think a lot of people tend to overlook the vitality of having a unique marketing strategy. I guess this can be a contributing factor to the actual longevity of a business. O: I completely agree, I think in terms of brand unique identity, the way you market yourself comes into that a lot. A few things Glide asked me were what was I using marketing to achieve? What is marketing going to be for my brand? Is it to market myself to bring more customers, get myself more known on the market? These questions were paramount to me understanding where I wanted to take The Glow Pot. PAUSE SO. I did a little investigating and found Glide's digital marketing page - The London Marketing Coach. If you are interesting in utilising his services, be sure to check out his website and let him know that we sent you! JF: A bit of a personal question now. What has been the hardest life lesson that you have had to learn? O: Hardest life lesson? If I am honest, understanding that sometimes those who you expect will be the most supportive of you, wont be. That being said, I have learnt that help and support can come from some of the most unexpected of places. A few people do know my story and I have previously spoken about it on podcasts. I lived alone from a very young age and I was on my own from when I was 17 years old as a result of family issues and other related things. The amount of support I received in that time was honestly so overwhelming and it kept me going. The same sort of thing with my brand. I have received an overwhelming amount of support from people that seem to like me for me and love my products also. To overcome this sort of issue, I would encourage as many of you that are reading this to not get disheartened when the people who you thought would support you, don't. There are 20 more people willing to help you. That being said, help yourself! That phase in my life taught me how to be independence and I quickly developed an understanding in that if I do not get things done, they will remain undone. I push myself to get things done by myself, if people can help me, fantastic, if they can't, no skin off my nose! JF: I definitely agree. I think a lot of people step into the whole entrepreneurial space and end up feeling the same when it comes to support, or lack thereof, from people they care about. It is encouraging to see how you turned that around in your favour. JF: As a business owner, what has been a major challenge for you thus far? O: As with any start-up, finances. Finding the capital to start can be quite difficult and actually delayed my start for a while. With skincare it is particularly difficult because you have to try and test products, ensure you remain compliant with regulatory requirements within the EU, the money to do all of these things doesn't just come from anywhere. I found the capital to get started and money does come in from the business and sometimes I do feel like things are picking up then I have to pump that money right back into the restocking of products. It get like that. If you are in a similar position right now, do not be disheartened. If you are pursuing your current venture for the right reasons, not having the money immediately will not deter you. Remember that it is a journey, it is not a race, I have found the capital to get started. Money coming in from the business, use to restock - it gets like that. Don't get disheartened by it. If you are pursuing your venture for the right reasons, not having the money immediately won't deter you. It is more so about the journey, it is not a race. If you start off small, you will get there in the end. Embrace the process and take advantage of all the things you are learning now and keep them in mind and your brand begins to grow. Secondly, marketing is not cheap. It is difficult to find the right places to effectively market and again, it can be disheartening when you spend money on advertising in one place and do not see the results you would like. It will not all happen in a day and may just require some trial and error but eventually you will find the right formula. JF: Perseverance is indeed key! I noticed on Twitter that you appear to have a few collaborations and affiliations of some sort with a number of brands. How important is collaboration to you and why? Tying into that, how did you choose the right brands to collaborate with? O: Personally, I am massive on support. It is important to me because within our community, no one is going to help us if we do not help ourselves. I think one of the problems within the black community is that we expect help from outside organisations, affiliations from external brands but honestly, nobody is going to understand what you are going through like those that are on the same journey as you. In terms of my affiliation with Certifeye, the founder, Aisha, was and still is an absolute angel. I initially approached her to ask for some general tips and possible business mentorship and this girl has me! She helps me out of the goodness of her heart and I literally cannot thank her enough! She is having a pop-up shop next month and The Glow Pot have provided a number of products to go in the goody bags! I would love to expand on this affiliation going forward. 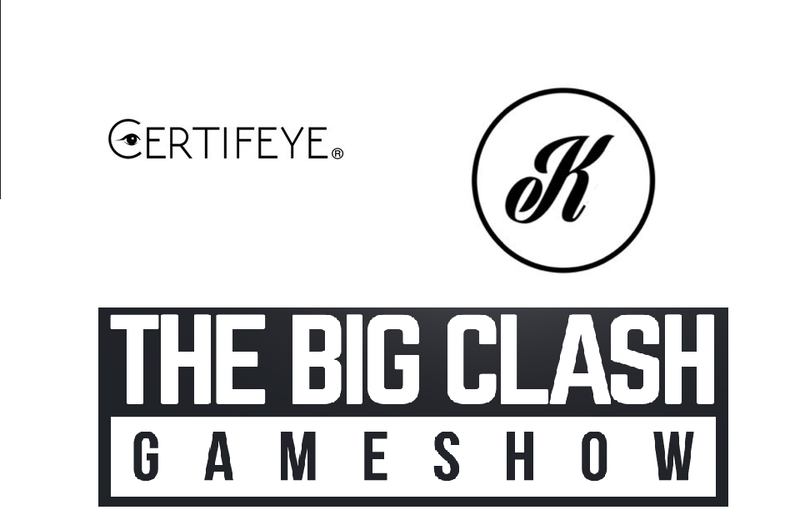 I also love The Big Clash, I have always been a big fan and participated like years ago. I love what they do and love the happiness that they bring to so many people. I had followed Denise, who is part of the Big Clash, on social media for a very long time and she has always helped push my business and coming up with great ideas to help me. I like to support those that I see supporting others, that is how I choose my collaborations. I want to believe in what you are doing, the same way I believe in what I am doing. I do not just collaborate with somebody because they may make my brand look good. I like to ensure that the morals, values and messages of a brand are similar to that of my own. How could I forget, Miss KLB too, who is an absolute darling and her brand doing well right now. I am such an addict of her makeup products and particularly love the quality and pricing of her products! JF: What has been your favourite part of this journey in business thus far? O: Honestly, getting feedback from my customers. I can say my products are great, my friends can and my family can too but when you hear positive things from people who have no real affiliation to you it is honestly so heartwarming and overwhelming. JF: You totally deserve it! Do you have any advice or tips for other young people starting up? O: First and foremost, slow and steady wins the race. Don't rush into anything, make sure you are doing your research, finding your audience and identifying your niche! Secondly, if you can get investment, do! Find an investor that has business expertise. This person could ultimately act as a mentor and investor and may assisting you with networking opportunities! Finally, know the worth of your brand. Once you know this, pushing that message, makes it all the more authentic. I chose skincare because it is important to me. Pick what is important to you, push that, stay with that and grow on that!. JF: I love that. Some really useful tips there and I hope other entrepreneurs starting out can take note of these too! Finally, do you have anything exciting coming up that you would like readers to keep an eye out for? O: I do indeed! I have two new products releasing next month. I am having a raffle at the moment so every single order before placed before October is entered into the raffle. The winner will receive these new products before the launch date, and have an opportunity to test them out and personally let me know what they think! I will be releasing more products in the coming months and possibly some events too, so be sure to subscribe to TheGlowPot.com for regular updates. I say I love everyone I have an opportunity to speak with but I really do love Ofome and everything she stands for. I am excited to see where she is taking The Glow Pot and trust that it will only be onto greater heights! I will be making a few purchases - I hope you will be too!